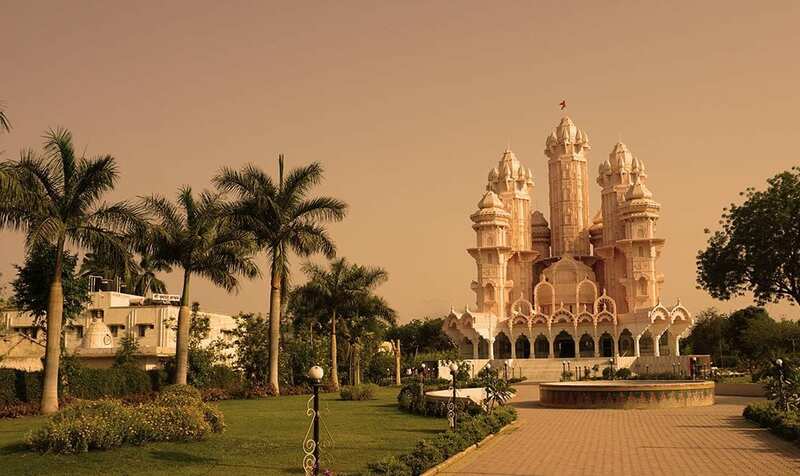 Malav Ashram is a Holy Site in the heart of Gujarat where the famous saint, Swami Kripalvandandaji spent over twelve years in Sadhana. Before his Mahasamadhi, he asked his disciples to be buried in a specific field located in Malav due to the sacredness and serenity he experienced there. His wish was granted by his disciple, Kirit Patel, and a large and magnificent Shiviate Temple has been constructed over his burial spot in tribute to Swami Kripalu and his Guru, Lord Lakulish, the 28th incarnation of Lord Shiva. The grounds are beautiful; complete with orchards, flowers, and immaculately kept fields. There is a large meditation hall, a dining room, and a residential building for all of those who wish to come and study the authentic teachings of ancient yoga in the serenity, beauty, and calmness of Malav. It is the ideal place for the in-depth study of authentic and ancient teachings of Yoga. Before Swami Kripalu’s Mahasamdhi, he asked one of his foremost disciples, Yogi Amrit Desai, to one day bring the authentic teachings of Yoga and Yoga Nidra back to Malav when the time was right. At his bequest, this coming year (2017), Yogi Amrit Desai will be hosting I AM Yoga Nidra™ Professional Training with a focus on the medical applications of Yoga Nidra at Malav. Moving forward this facility will continue to provide the teachings of this lineage more consistently and more often to uphold the legacy of Lord Lakulish and Swami Kripalu.